MorseLife is an award-winning health care campus that features assisted living, short term rehab, memory care, long term care, and independent living for seniors. Founded in 1983 by the Jewish Community of Palm Beach County, MorseLife’s mission is rooted in innovation, passion and compassion for the elderly. The latest edition to the campus, the Stephen and Petra Levin Tower, is a 10-story, 300,000 sq ft property that hosts 135 one and two-bedroom rental apartments with 100% capacity and a waiting list! Floridian seniors see the MorseLife difference and are signing on to the resort-like lifestyle. Amenities include (but are not limited to! ): concierge, spa/salon, fitness studio, pool and hot tub, movie theatre, bar, kosher restaurant with waterfront dining, billiard room, library, weekly housekeeping, an on-site medical clinic led by a Harvard geriatrician, and a social schedule that rivals the hottest in multi-residential living. Jealous much? The apartments also host private balconies and plenty of high-end materials. The project is widely successful due to PerkinsEastman’s esteemed eye and philanthropists Stephen and Petra Levin’s $5M donation and fundraising efforts. The interiors are fresh, bold, artistic and FUN! 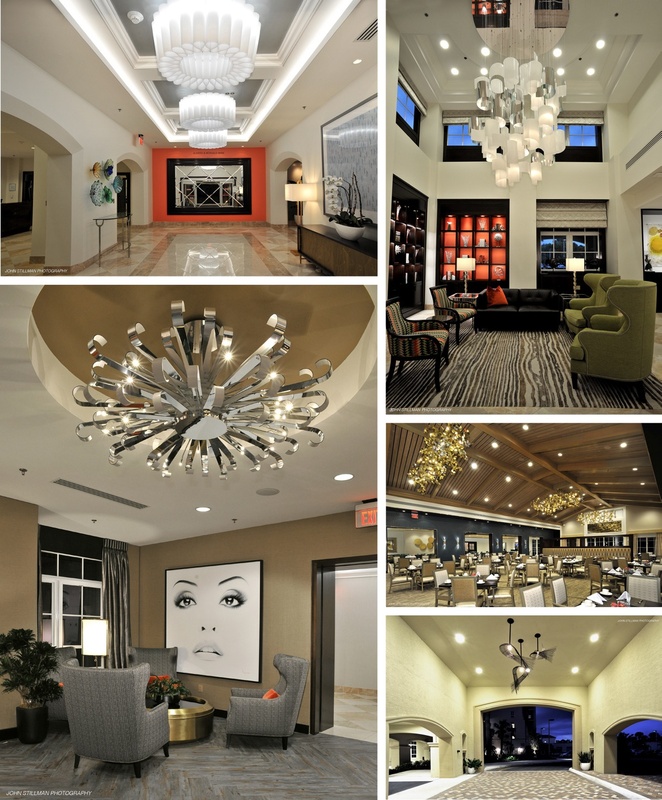 The Miami-based Levin’s are renowned art collectors and it was important to incorporate a contemporary feel throughout the building. Friends: this is savvy senior living at its finest. Ready to “lease your way to luxurious retirement living”? Take a tour here. Hotels, Multi-Res, Healthcare, Install…we do it all! Drop us a line for your next design.